So in my previous post I mentioned that I had lost hope in going to E3 after our tickets fell through, this post will explain the Monday before E3 after I obtained a pass to attend Microsofts conference. So Sunday night about 8 PM after not getting into the Bethesda conference we decided to get some food at a little sandwich shop that specialized in French dipped sandwiches with our new friend Chris. After eating Chris dropped us off at the hotel and we went to bed knowing that tomorrow would be a busy day and we would need to be at Microsoft's conference at 7:30 AM. The morning came and the hotel serves breakfast at 7:30 AM so we couldn't eat before we left and thought that Microsoft would provide some sort of nourishment. Yeah this did not happen, which turned into a fairly long day. The. 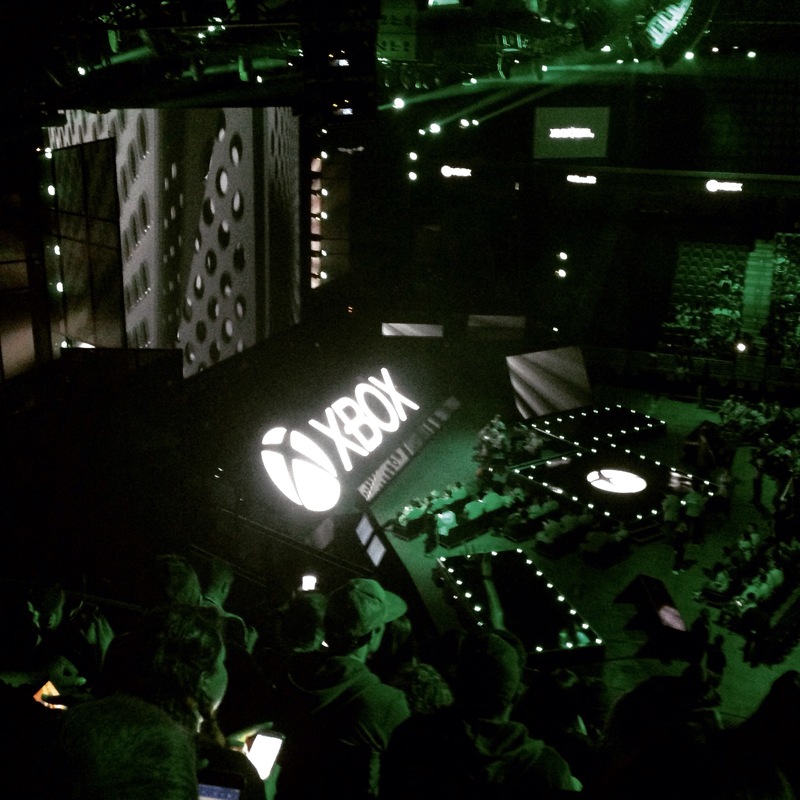 Microsoft conference had much to offer, games like "Gears of war 4," and "Halo Wars 2," looked very polished. I loved the announcement of the XboxOne S as well as the hint of the future Scorpio which bumps up the specs from the current 1.43 terraflops to a staggering 6 terraflops. The power jump is massive but will the price tag be as well? Overall I really enjoyed Microsofts conference which says something because I am a big Nintendo fan and Microsoft is usually last on my list when it comes to console gaming. So after the conference ended at 11 AM I was hoping to get something to eat because I needed to take my medication and I would get sick if I took it without food but someone said we needed to hop on a shuttle over to Ubisofts conference, so that's what we did. We got there and stood in line for little over an hour but we ended up getting in. We were seated and saw awesome new games like "Watchdogs 2," and "Steep". 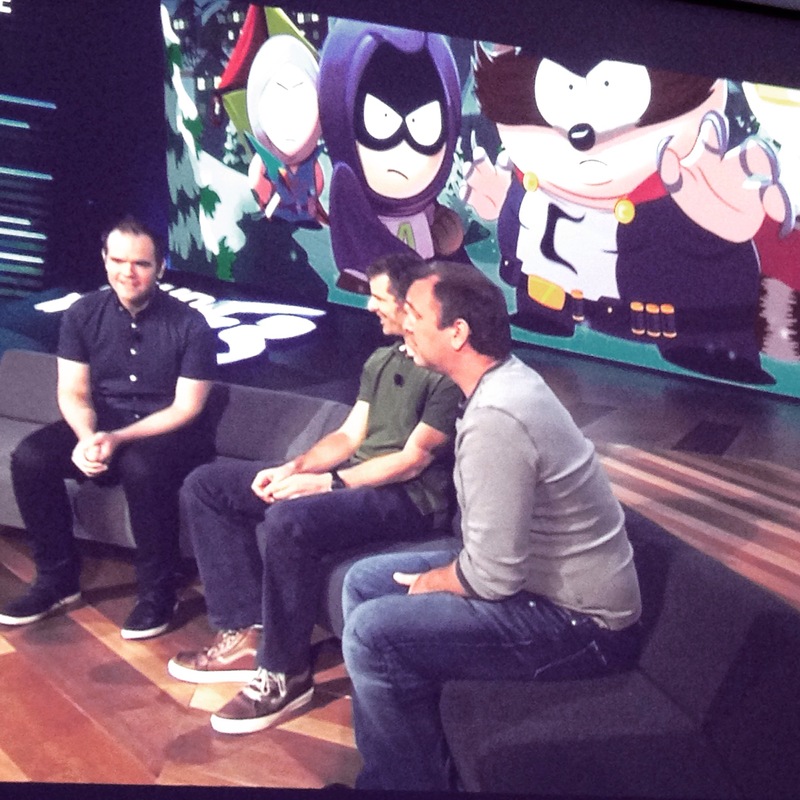 We also were treated to "South Park: Fractured but Whole," and saw Trey Parker & Matt Stone as well as a new VR "Star Trek" game announced by Levar Burton. Overall a good showcase of games. On the way out we were given a thirtieth anniversary box containing postcards with artwork from a plethora of Ubisoft games. Nice little bonus to there show. Now it was a little after 3 and by this time my wife and I were very hungry and we mention to the group that we needed food, but we needed to take a shuttle from Ubisoft to the LA Conference center and then hop on a shuttle to attend Sonys conference. So we headed to the LA Conference center and between shuttles we see some food on a table at a hotel. We see it is a meeting for turtle beach. My wife grabbed a shot glass filled with chocolate mousse and we both had a little taste, this of coarse made me more hungry. We looked at the time and we barely made it to the shuttle for Sonys show. We arrived at 4:30 PM and my wife followed one of my friends into a line which apparently you needed a blue wrist band to get in. I of coarse was stopped and since I didn't have one I wasn't allowed in. I told the lady I needed to speak to my wife and she told me I needed to get in a different line so I had to find a way to get my wife's attention and told her what happened. Eventually the lady came over and asked my wife if she had a wrist band and she said no, so in reality I got her kicked out of line. We could see the food on the other side so it was a bit tormenting to us to say the least. So we decided to go to plan B. We found a standby line to get into the show and as we stood in line the sun beat down on us and we became very hungry and weak, at one point my wife wanted to take Uber and get food, I said she could while I waited in line but she ultimately decided to wait it out. After about 2 hours in line we were allowed to go into the conference. We were told to go to the 3rd or 4th floor so my wife followed 3 nicely dressed men into a door where we were seated on the first floor thirteen rows from the stage! Some people would say thirteen is unlucky but I was enjoying it. Sonys conference had already started so we missed the "God of War" showing but we were right in time for "Horizon: Zero Dawn." It looked amazing! 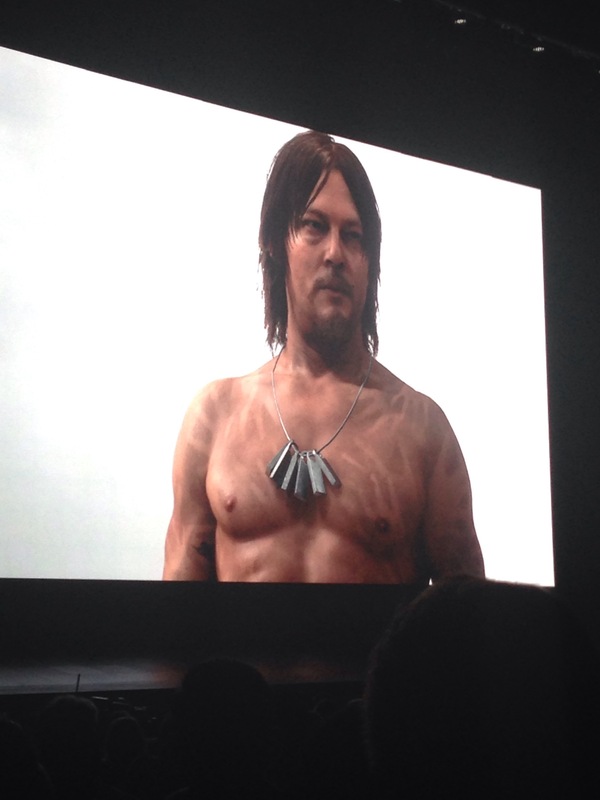 They showed "Resident Evil 7," and "Spider-Man," then Kojima comes out and shows his new game "Death Stranding," starring Norman Reedus and it was so visually stunning and the live orchestra made it so much more amazing. The show ended with a new game called "Days Gone," which is a survival game with zombies that looks pretty stressful and intense. So the show ended just before 8 and we were ready to get out of there and get some food, it had been 24 hours since we had eaten besides the shot glass of chocolate mousse. As we headed out my wife pointed out that there were a lot of people heading into this side room. We decided to head in and see what was on the other side. It was a sight to behold, there was food and lots of it, Asian, Mexican, Italian, and all in between. They had 2 servers who had a tray between them that was about 3 feet long and was fastened with straps that went around there necks. On this tray was a mountain of chicken wings with multiple flavors. There was a conveyer belt that transported food around part of the room. Plus they had free beer, wine, and water bottles that said playstation on them, and being from Wisconsin the beer was a welcomed sight. As I was eating, my wife wandered off to look at the Sony VR games that you could try out. I was finishing up my food when I hear my wife yell to me "Shane, Shane get over here right now!" All in an excited voice! I head over by her and see her glaring at a stage, eyes wide open with a big smile on her face and then I see him. There is Conan O'Brian on stage talking about who knows what with who knows who? My wife has a set list of people she wants to meet and Conan was on that list. She points out to me on her fitbit that her heart rate was climbing. She was in a trance like state and as Conan stood up and walked down the stage steps his security guards swarmed. 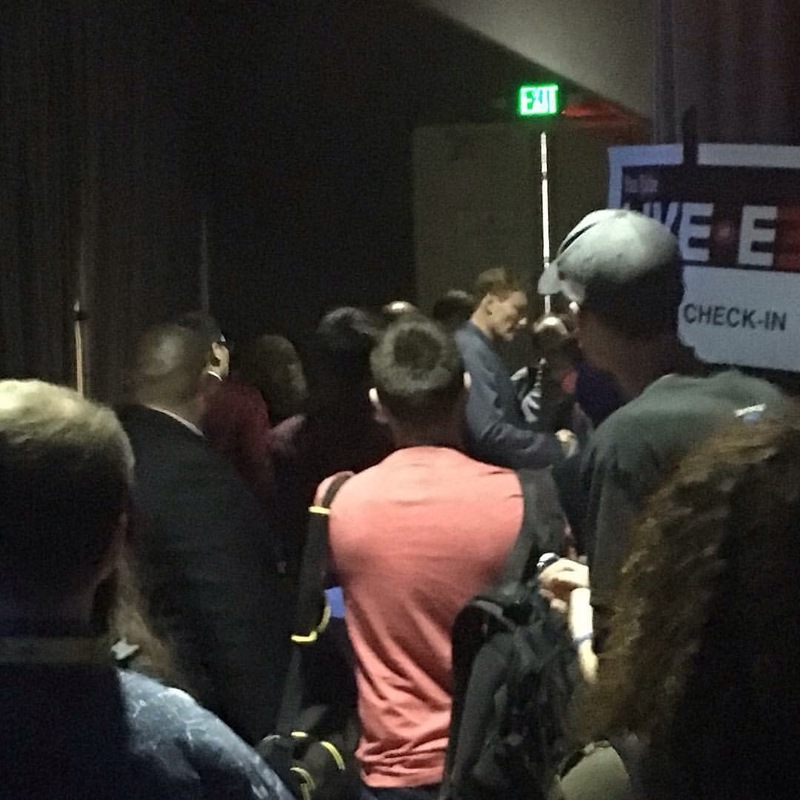 My wife got in closer and as he passed her she put her hand on his shoulder and said some words to him and he kept walking to a nearby hallway. My wife shows me that her heart rate had climbed higher and tells me she needs some wine to calm down. I don't think I've seen her like this before and found it quite insightful. After the encounter with the red headed giant we decided to try out the Sony VR headsets. We played a collection of mini games that were 4 player. Since this was the first time I've tried VR I was quite pleased by how comfortable it was and the clarity of the screen. We played a monster chasing game, which you guessed it, a monster chases robots and you try to escape it and defeat it. The second game was a cat that tries to catch you while the goal is to collect all the cheese. Lastly we played a ghostbusters type game where the player with the headset can't see the ghosts so your fellow players must direct you to there location by seeing where they are on the screen and shouting where to point your ghost grabber. Overall I liked the headset a lot. After this VR experience we got on a shuttle to head back to the LA Conference center. On the shuttle we met two awesome people who gave me a poster and the book , "Ready Player One," which I had wanted but had not picked up or read yet. I'm glad to know there are still nice people out there. We got back to the hotel just before midnight and pondered over the days events. What boggled my mind was E3 had not even started yet, but it left me hungry for more!